Bill Summers has a lot goin’ on—he always has. The master percussionist leads two bands, Bill Summers & Jazalsa and its more traditional Spanish kin Jazalse. And along with trumpeter Irvin Mayfield, he co-leads the Grammy-winning ensemble Los Hombres Calientes. Summers is also an original member of Herbie Hancock’s noted Headhunters band and performs with drummer Harvey Mason’s jazz all-star group, Chameleon, as well as with keyboardist/vocalist Nigel Hall’s band, the Ninth Power. Summers, who throughout his 40-plus year career has worked with a Who’s Who of jazz, has long held a passion for the music coming from the African diaspora. 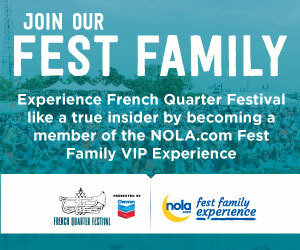 That interest can be realized on hearing Jazalsa, which performs at the French Quarter Festival. “It’s very danceable though it has all the jazz elements,” says Summers of the rhythms and repertoire of Jazalsa that include Latin as well as African influences. “I get young, fresh guys who have a good attitude,” Summers says of the ensemble. The hand-picked bandmembers include Cuban-born percussionist Alexy Marti, drummer Julian Addison, bassist Pat Casey, trumpeter Ashlyn Parker, and trombonist/vocalist Michael Watson. Summers, a Detroit native and New Orleans resident, was raised in a home with a huge record collection. “We had so much jazz, R&B and Caribbean music—Coltrane, Roland Kirk, Ray Charles, Ella Fitzgerald—infused into our lives,” he relates. The members of his family were all from Louisiana—“I’m very proud of my Louisiana history!”—and enjoyed a strong musical background. So it was natural that he and his brother, Darnell, developed an interest in music. At ages five and six, respectively, Summers and his brother were enrolled into the Detroit Conservatory of Music. “It was not typical of people growing up in my neighborhood—there were no other black kids there that I saw. “I always loved drums. So when they put us in the conservatory, I said I want to play drums.” His father nixed the idea, Summers said, because the conservatory believed that it was best for them to focus on the piano in order to obtain a broad musical background. When he was 18, Summers, who was playing mostly saxophone and flute, won a daily double at a Detroit racetrack earning him about $7,000. He quit high school and two days later left for California, eventually attending the University of California at Berkeley. Summers began playing a lot more percussion while still doubling on horn and was spotted by legendary record producer Orrin Keepnews. Summers went on to play and record with a wealth of greats and, of course, became a leader himself. On the educational front, he co-founded and heads the New Urban Music Movement (NUMM), an organization that helps young players in pursuit of careers in music. He’s also inaugurating a new local program, The Klub Kid Project that will focus on the recording and business side of the industry at area high schools. Summers will be heading to Brazil with the Headhunters before Jazalsa’s French Quarter Fest appearance. 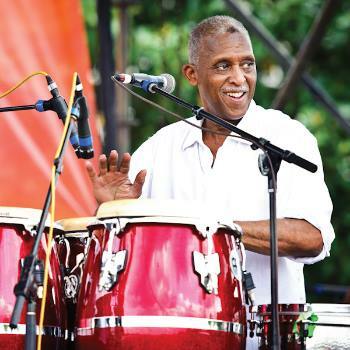 In April he’s off to Europe with the Headhunters and returns for Los Hombres Calientes’ Jazz Fest set on the Congo Square Stage that will be recorded live. Bill Summers has a lot goin’ on—he always has.